Colorado rafting is the best around. This state is built on rivers and your options for whitewater seem endless. You can take a slow scenic ride with your family or go blast through some class V whitewater. Do it yourself or hire experienced guides. Whatever river trip you desire Colorado has something for you. Join us on our favorite rivers. One of Colorado's premier whitewater rivers there is a reason people love this river. The Arkansas is a long river with a little something for everyone. Try the Royal Gorge for family fun and stunning views or run the Gauntlet for insane class V rapids. The Arkansas River is fantastic for floating and every skill level can really enjoy this place. The same river that cuts through the Grand Canyon has some great water in Colorado. 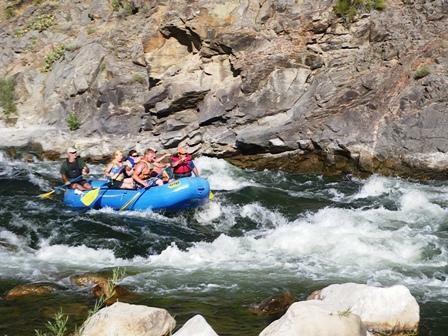 Head down Gore Canyon for some crazy whitewater or take the scenic trip through Glenwood Canyon for a great time. 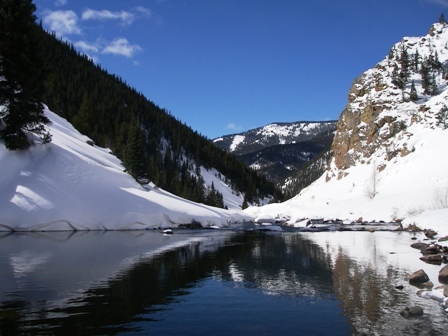 This big beautiful river is great for family trips and serious whitewater adventure. Spectacular canyon scenery in a beautiful wilderness setting. This is not really technical water but it does get up to class III rapids. The river is also surrounded by wildlife and has gold medal trout fishing. Come hit the class III rapids on the scenic Upper Taylor River. This is an all round river, well suited for beginners, families and experienced rowers. This river also has world class flyfishing so bring your rod.